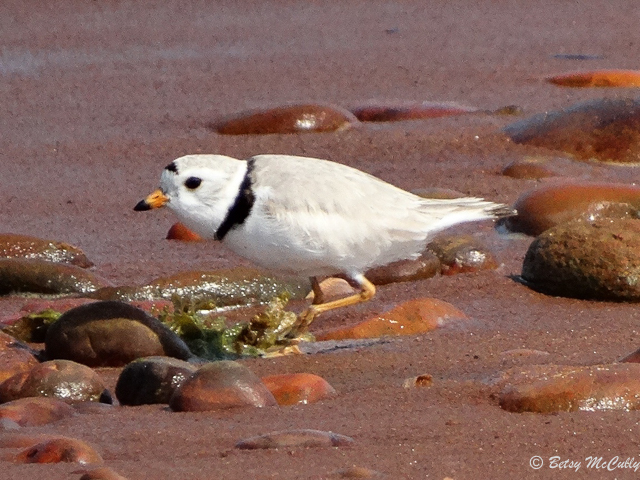 Piping Plover (Charadrius melodus) in protected nesting area, Napeague. Shores. Near-threatened.